Hey ya’ll! 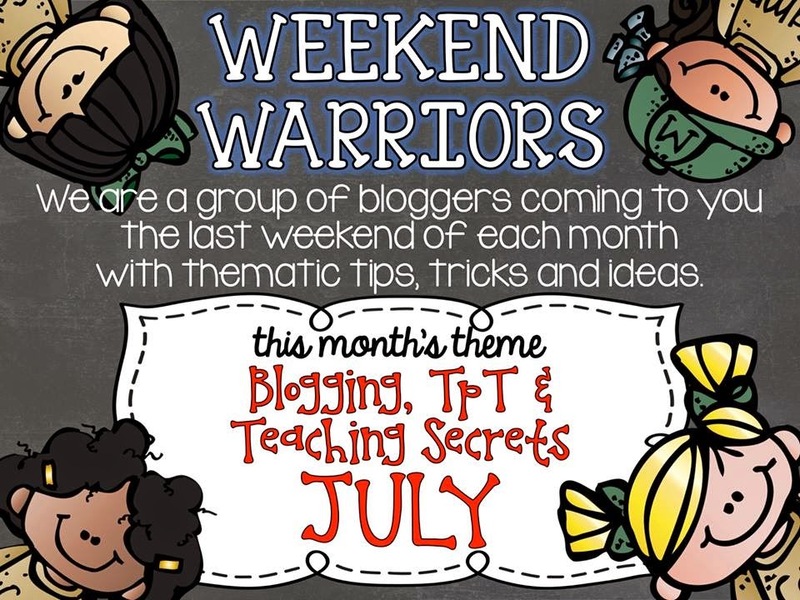 I’m back with part two of the Weekend Warriors to share some blogging and pinterest secrets. 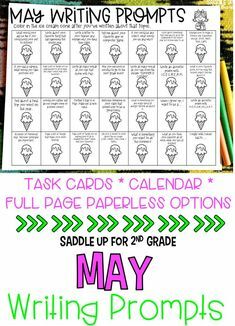 You can see my TPT tips and tricks post here. It’s full of great photos and video tutorials to help you improve your products. 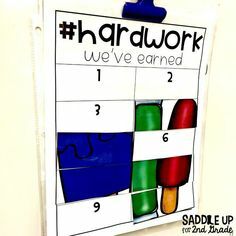 While I was in Vegas at the TPT conference, I attend a session hosted by the FABULOUS Mel D from Seusstastic Classroom Inspirations called Advanced Pinterest. 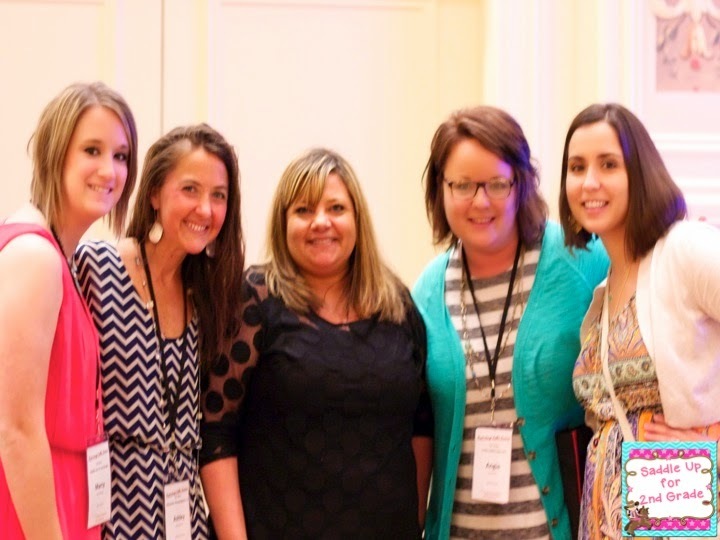 It was all about growing your business through the pinning website. Mel put on a great session. I learned so much about pinterest that I had no idea about. Yes, I knew that pinterest is a great marketing source, but I didn’t know how to fully utilize the opportunity. Today I’m going to share some of the new things I learned about the great site. Blogging Tip: When you write a post, think of your readers and how you want it to sound. It needs to be clean and professional but also fun. This is something that I am bad about…simply blogging about a new product and not really showing how it’s used. Yes, its ok to blog about your products that you’ve created, but you don’t want your blog to be a big giant “buy me” sign. Share photos of your products being used, rather than just slapping the cover on a post and calling it good. 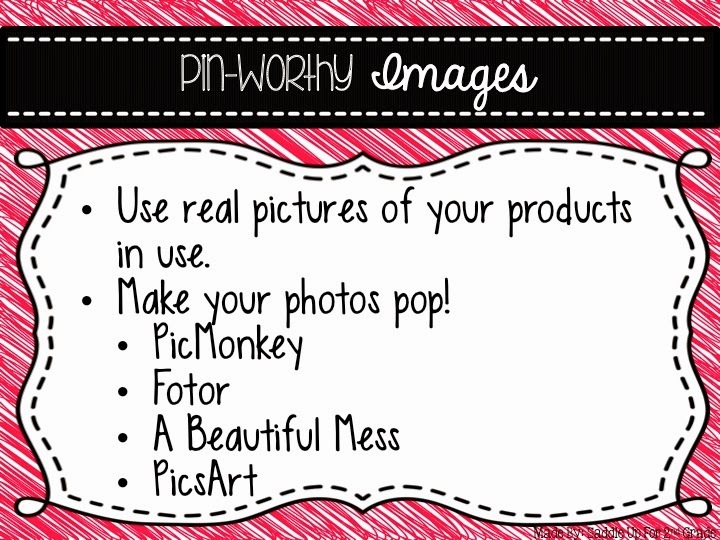 THEN, pin those photos of your product in use directly from your blog. This will not only drive traffic to your blog but it will drive traffic to your TPT store. Again, something I am guilty of. 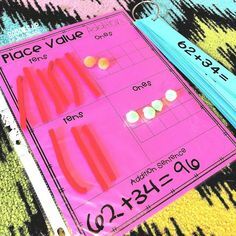 Something that was stressed in more than one session I attended was to pin from your blog and not from TPT. At first I didn’t really get it. 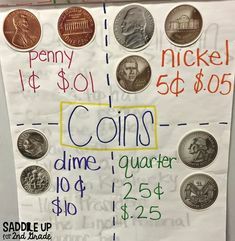 When I’m looking for an idea, I always turn to pinterest. Then I got to thinking about it and went back and looked at my personal boards. Most of my pins and things I’ve looked at come directly from a blog post, NOT a TPT product image. When I’m scrolling through my pinterest feed, I’m more likely to click on a photo of a product in use, rather than just a cover photo. 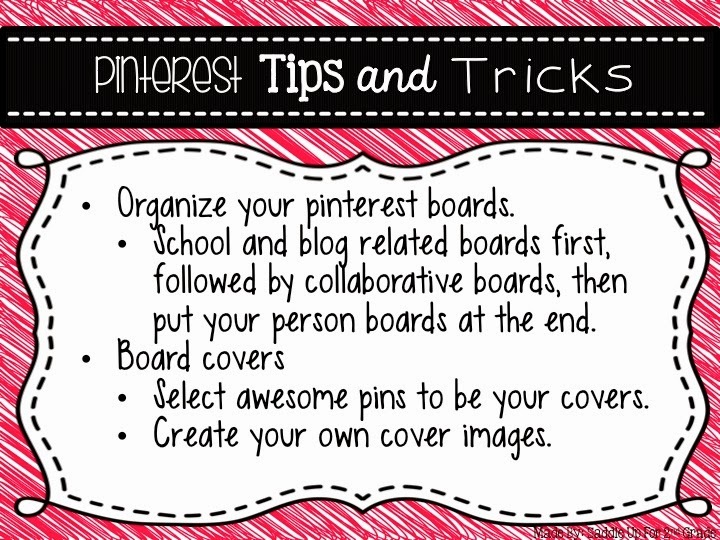 Here is a quick video I made to show you how I organize my pinterest boards. 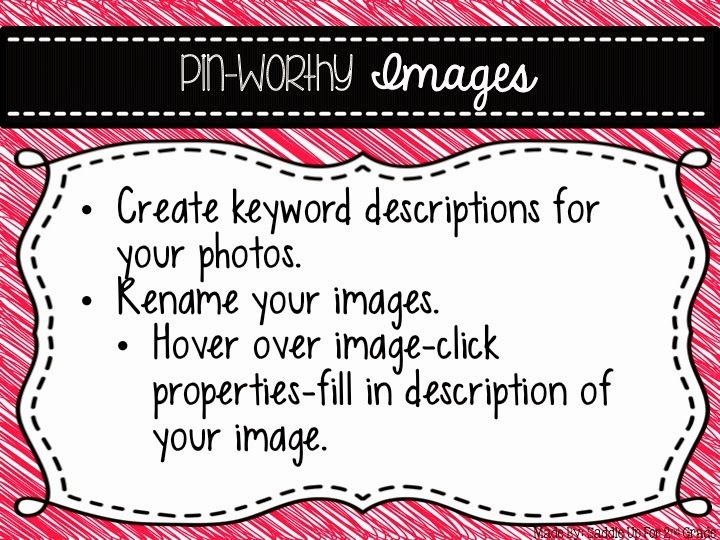 Create pin-worthy images! Again, use real photos of your products in use instead of just a cover page. I’ve listed some great websites and apps you can use to make your photos stand out. PicMonkey and Fotor are free websites you can use to make collages and add text to your photos. A Beautiful Mess and PicsArt are some apps you can download on your phone. 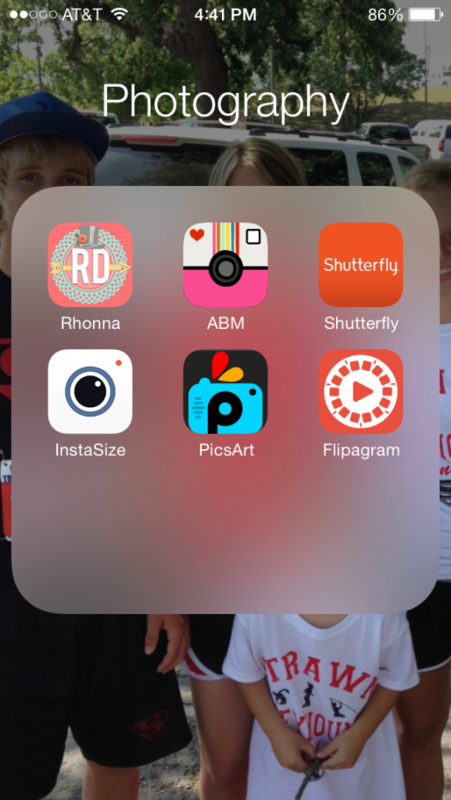 Here are the photo apps I use to create collages with to post on social media. This next tip is something I had no idea you could do. 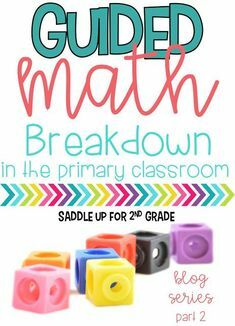 Rename your images!!! 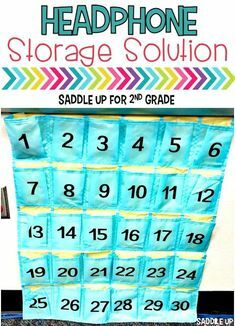 This will help you so much when pinning a photo directly from your blog. First you are going to need the pinterest button installed in your toolbar. You can click here to get that if you don’t already. It is very easy to install. I recommend the pin but on your toolbar just incase a blogger does not have a pinterest hover button installed. Here is a short tutorial on how you can rename you blog images so that you description will show up when something is pinned from your blog. 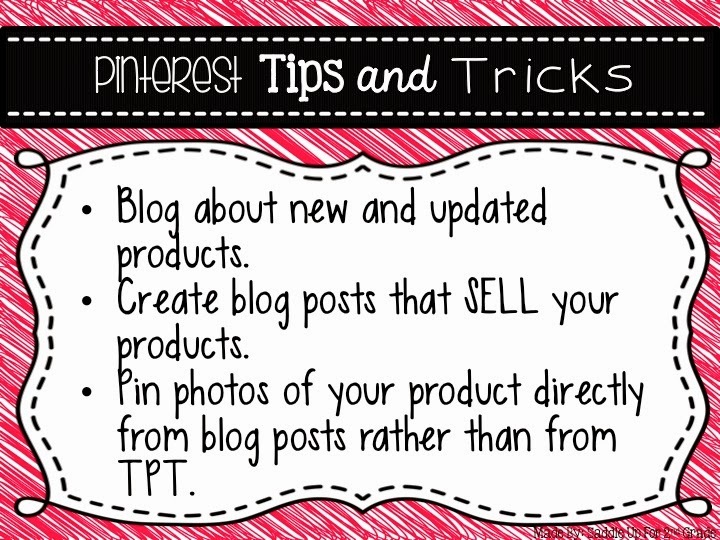 I hope these pinterest tips can help you grow your blog and TPT business into a huge success. 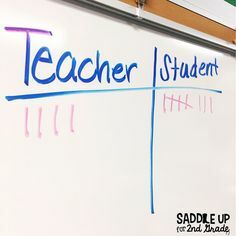 If you have any questions feel free to comment below and I will do my best to help you. Don’t forget to click on the links below to check out some other great blogging secrets from my great friends. Have a great Sunday ya’ll!